I’m with 990Glenn. I run folders. I used to run fixed but they have a tendency to catch and get your bike cartwheeling vs just sliding. I took a lesson from the factory bikes running folders to try to stay in the race after a get off. Those fixed pegs don’t always break like advertised. I don’t run frame sliders either for the same reasons. Folders after a lowside. Just beveled the foot and brake lever pegs. Ready to get right back into the action. Leaning pretty heavy towards lightech R's now. hate to spend that much but damn they are nice. 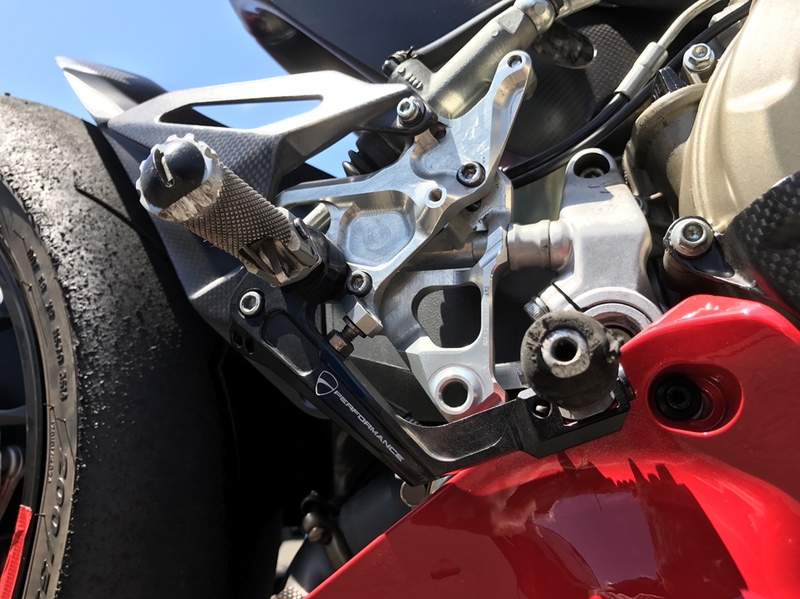 For the track, folding rearsets crash better, just like the picture above. I've had the same experience, being able to just get back on and ride. ended up going with woodcraft w/ folding toe pegs. super easy to get parts.